An environmentally friendly and cost-efficient waste water treatment system is being engineered by Australian company CST Wastewater Solutions for smaller, remote and ecologically sensitive community, municipal, agribusiness and industrial applications throughout the Asia-Pacific. The two-stage system uses a combination of coarse and fine screening and advanced dry compaction technology to produce a more hygienic and more compact output that is easier to handle and transport. The system is more economical, compact and uses less energy and minimal water compared to alternative systems. The new system – incorporating the world’s best technology into an Australian engineered package – has been selected for use by the Island Board of World-Heritage listed Lord Howe Island after extensive testing to determine the best solution for the management and disposal of waste generated on the island. The existing waste management facility for the Island, 900 km off the coast of Eastern Australia, sorts various waste streams including food waste, paper and cardboard, green waste, recyclable materials re-usable materials and general waste. Septic Waste from residential and commercial system is also treated at this facility, drawn from about 220 waste water systems on the island, 25 of which are commercial operations. Currently pumpouts are delivered to the facility via a 1,800 litre wastewater tanker. “CST Wastewater Solutions was tasked to review a “best fit” sludge dewatering system for the septic waste, because the current infrastructure is becoming outdated and the existing drying beds are to be decommissioned,” said CST Wastewater Solutions Chemical Engineer and Managing Director Mr Michael Bambridge. Mr Bambridge and his brother Peter Bambridge worked extensively with the Lord Howe Island Board’s Project Manager to find an optimal solution that combined outstanding environmental performance with equally strong OHS performance – and which has a much smaller footprint than the drying rack system used currently. “The extensive work done by Peter with the Lord Howe Island Board Project Manager inspired us to take a fresh look at the type of environmental solutions on offer to communities and industries in environmentally sensitive locations throughout the Asia-Pacific,” said Mr Bambridge. The first stage is a CST Screen Extractor with coarse screening at 6.0mm up front to remove plastic, rags and other disposals typically found in community, commercial and industrial waste water treatment plants. The second stage employed CST’s new KDS Separator technology for fine screening and dewatering of the fines. The clog-free automatic liquid-to-solid waste separator is being introduced to the Asia-Pacific by CST Wastewater Solutions for compact dewatering applications ranging from food processing, food waste, grease trap and waste oil through to municipal wastewater sludge, livestock manure and agribusiness processes. The KDS system was developed in Japan, a country which is highly focused on food and water purity. 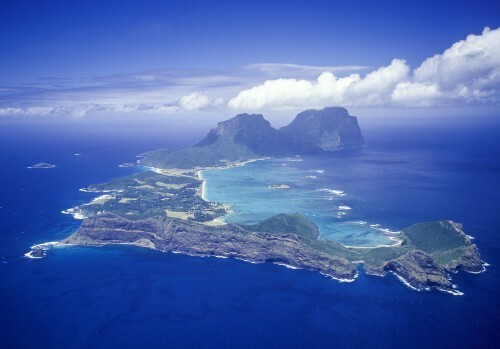 CST Wastewater Technologies engineers KDS’ latest technologies into Australian-engineered packages specified to achieve best results in individual locations, such as Lord Howe Island. “CST completed successful trials on Lord Howe Island under the supervision of the Board’s Project Manager, obtaining impressive results from the pilot plant KDS Separator, with high screening capture and effective dewatering of the fines from the wastewater delivered by the tanker servicing the community,” said Mr Bambridge. The compact KDS multi-disc roller separator features a unique self-cleaning dewatering and conveying system with oval plate separation and transfer structure that prevents clogging and permits automatic continuous operation that handles oily and fibrous material with ease. Designed for efficiency, sustainability and conservation of resources in small-to- medium applications, the energy-efficient KDS separator consumes as little as 0.06kW hr of electricity and uses no wash water, says Mr Mike Bambridge. Compared to alternate technologies it saves on power, space and money. 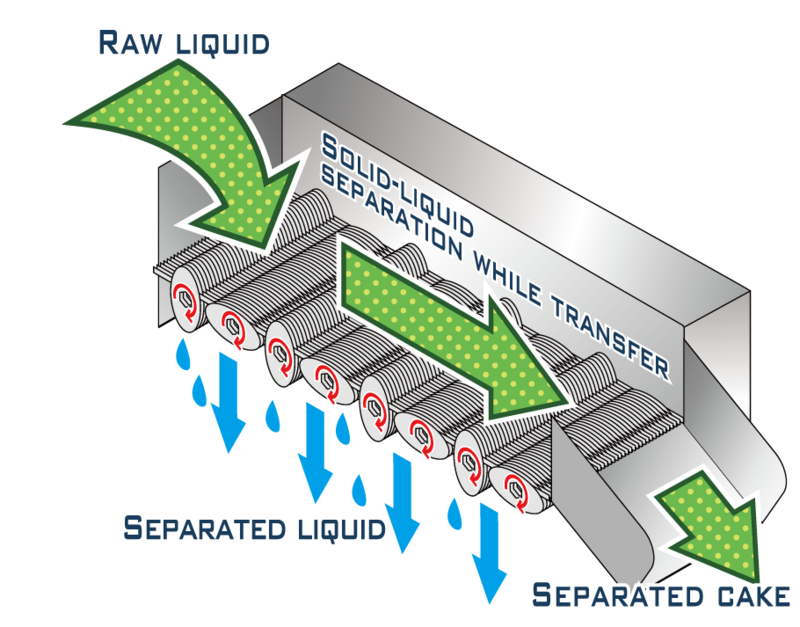 “The KDS separator uses a fraction of the power of a centrifuge and involves no water usage during operation, unlike a belt press or a screw press. For a relatively low investment cost, it offers a high-performance alternative for example to sludge drying beds and geobags, says Mr Bambridge. The KDS technology can also be used for thickening of dissolved air flotation sludge – a very common application throughout waste water operations – in which role it achieves solids capture of 97 per cent thickened sludge at a dryness of 17 per cent. Waste activated sludge dryness levels are typically 15-25 per cent. The compact rotational oval plate structure achieves high transportation and separation efficiencies, while the simplicity of the machine’s overall structure offers low maintenance, achieving cost and OH&S benefits through less handling being required to clear hazardous materials. Pig farm raw manure and sludge, with cake dryness of 20-30 per cent. Barrel polishing water, water-based paint wastewater, grease trap waste, dyeing wastewater, waste oil, and plastic recycling. Copyright 2014-2019 ITbyus | All Rights Reserved.